Are you counting down the days until summer too? We’re told browsing through the collection of women’s bikinis on Fashiola can take your imagination on a wild holiday. 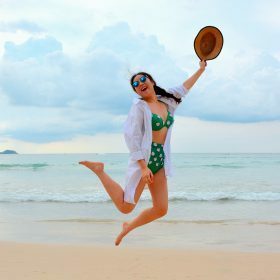 Finding a new bikini can sometimes feel like a challenge, but thankfully on Fashiola, we have a set of filters to help you out. Bikinis now come in every style imaginable, off-shoulder, high-waisted and cut out detailing (see what we mean by looking at Topshop’s collection) and a big splash of color. From whatever makes you feel comfortable to standing out with some ruffle detailing, check out what women’s bikinis are available on Fashiola.